It is an extreme honor to return to the Harmony family as your HSI principal. I served as the HSI Assistant Principal of Academics for the 2016-2017 and 2017-2018 school years. It is a privilege to return and work alongside the stellar teachers and staff at HSI to support your students in their outstanding academic and social growth. I am fully committed to partnering with you and your children as we continue to demonstrate greatness. A little about me, I have 17 years of educational experience as a teacher, interventionist, Curriculum Coach, Community Outreach Coordinator, Assistant Principal of Academics, and Principal in Residence. I have worked in the public, private, and charter school sectors in California and Texas. I have my bachelor’s from California State University Long Beach, K-12 Credential from San Jose State University, and my Masters in Educational Leadership and Policy Studies from the University of Texas at Arlington. I grew up along the west coast and have been married to my best friend, James for four years. We have a very busy 2-year-old, Josh. We enjoy spending time as a family outdoors. I look forward to meeting and reconnecting with all of our HSI families. Thank you in advance for your ongoing support to our HSI teachers, staff, and students. 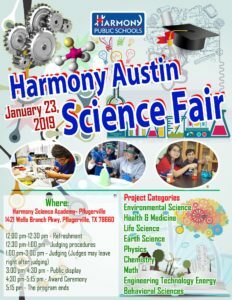 https://harmonypublicschools.network/hsiaustin-new/wp-content/uploads/sites/98/2019/01/Chankin.jpg 616 633 fmontenegro https://harmonypublicschools.network/hsiaustin-new/wp-content/uploads/sites/98/2017/10/HSI-Austin-logo-white-300px.png fmontenegro2019-01-28 08:49:302019-01-28 08:49:47Welcome back to HSI, Mrs. Chankin! Are you interested in volunteering as a judge? We welcome you! Please sign-up here! https://harmonypublicschools.network/hsiaustin-new/wp-content/uploads/sites/98/2017/10/HSI-Austin-logo-white-300px.png 0 0 Central Office https://harmonypublicschools.network/hsiaustin-new/wp-content/uploads/sites/98/2017/10/HSI-Austin-logo-white-300px.png Central Office2019-01-10 11:42:162019-01-10 12:00:17We want your feedback! https://harmonypublicschools.network/hsiaustin-new/wp-content/uploads/sites/98/2017/10/HSI-Austin-logo-white-300px.png 0 0 Central Office https://harmonypublicschools.network/hsiaustin-new/wp-content/uploads/sites/98/2017/10/HSI-Austin-logo-white-300px.png Central Office2019-01-08 10:01:122019-01-08 10:07:29GATE (Gifted and Talented Education) Announcement!